Few communication sectors have as little margin for error than lone working. Users can’t afford for their signal to drop out, they can’t afford to use a system that triggers false alarms and they can’t afford to use devices that break when dropped. The user demands are tough and the number of users of lone-worker devices and solutions has grown rapidly over the past decade or so thanks to a combination of different factors. But with cheap devices flooding the market, it’s easy for first-time buyers to get it wrong, with disastrous results. So how can procurement heads ensure they choose a lone-worker solution that is fit for purpose, and what are the common pitfalls they need to avoid? Over the past 30 years or so, lone-worker devices have evolved significantly. Initially people used pagers for lone-worker alerts, which had significant shortcomings, says Paul Smith, managing director at ANT Telecommunications. It’s not just satellite technology that has improved significantly over the past couple of decades. So too have lone-worker devices and applications. “Today you can have lone-worker apps on your smartphone. It can be on your brand new Galaxy S8,” says Smith. Then there is the whole host of bespoke hi-tech lone-worker devices such as pendants, key fobs, ID badge holders, ruggedised smartphones and satellite phones. With so much choice it is important companies select the right solution for the environment they intend to use it in. The good news is there are plenty of resources available to help people make the right decision. A good starting point for first-time buyers is Suzy Lamplugh Trust’s ‘lone worker devices directory’. The charity also provides advice on what lone-worker devices are available and how to implement a lone-worker policy. Saskia Garner, policy officer at the trust, says that due to the huge number of different devices available, selecting the right one can be confusing. This latter point is important under the Corporate Manslaughter and Homicide Act, which came into force in 2007 to ensure companies put in place measures to diminish or negate the risk of employees being injured or worse in the workplace. As a result, organisations need to carry out a risk assessment for each employee’s role, grading them into high, medium or low risk, and establish whether the risks are due to environment, people or tasks, suggests Will Murray, marketing director at Skyguard. “Once this has been established, the organisation will be in a good position to discuss with prospective providers which solution best meets their needs to eliminate or reduce those risks,” says Murray. There are four main areas that this discussion with suppliers should focus on, according to Gary King, SPOT regional sales manager (EMEA) at Globalstar. Smith says it can take a while to uncover a potential purchaser’s exact requirement; that is why he advises companies do their homework before approaching suppliers to ensure they get the right device and solution for their individual needs. In addition to the individual technical requirements organisations might have, form factor also needs to be considered when sourcing lone-worker devices. For instance, Smith says nurses visiting patients might prefer to use a discreet ID card holder, whereas workers on a wind farm in the Scottish Highlands will need a ruggedised device that can withstand the elements. While form and functionality decisions depend on specific user requirements, some things should be considered an absolute necessity, such as BS8484 accreditation, says Murray. ARC is an area that Craig Swallow, managing director at SoloProtect, believes is often overlooked. “It’s not just about a device, it’s about the ARC at the receiving end and its capabilities. Clients should ask for demonstrable evidence of speed of incident handling – it’s a requirement now of BS8484. Also ask for evidence of ARC uptime and how they have managed redundancy in the event of an outage,” says Swallow. Users also need to make sure that they have put in place protocols for the ongoing use of their lone-worker devices and solutions. “One of the classic mistakes we see is people thinking that buying a bit of technology solves all of their problems, but they haven’t considered the wider issues. They don’t have robust policies and procedures in place, and once the kit is installed they aren’t policing its use at their end,” says Allcard. It is a view shared by Swallow, who says companies need to focus on usage when they have put their lone-worker system in place. “Some lone workers will resist using a system provided, either because they don’t think they have risk or they think they can handle the risk. Any supplier worth its salt will work with the client in building a plan for how to encourage a high level of adoption across the user base,” says Swallow. At the end of the day, when it comes to ensuring the safety of lone workers, this is the ultimate goal. In recent years the number of industry sectors using lone-worker devices and solutions has grown significantly. A new but rapidly growing user base is the renewable energy industry, which often sees people working on their own in remote locations. One of the latest companies to make a major investment in lone-worker technology from this sector is General Electric’s wind energy division, which has rolled out Globalstar’s SPOT Gen3 safety device for workers as they install and maintain onshore wind power facilities. General Electric has initially taken 70 devices for crews working in locations such as Pakistan and Egypt. 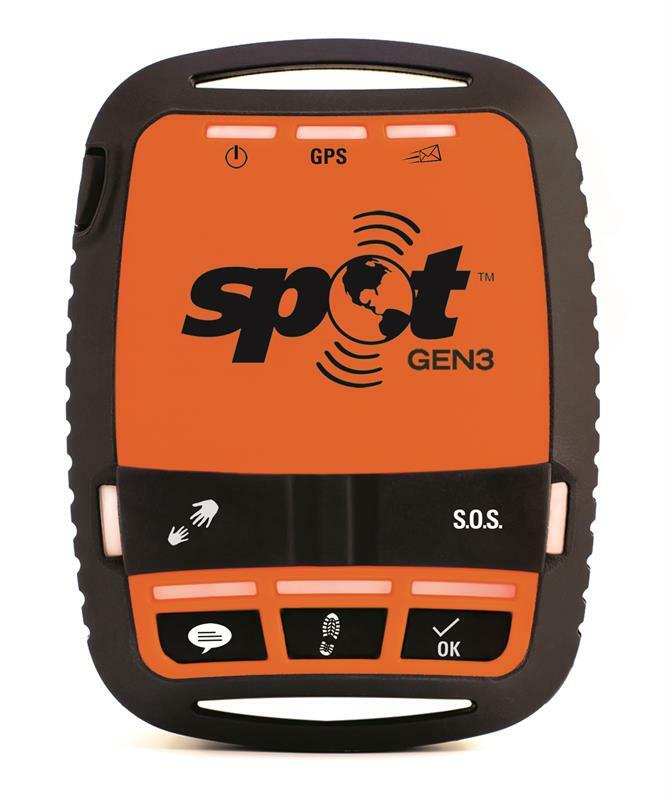 Should an emergency occur, SPOT sends the user’s GPS co-ordinates to first-responders via the GEOS International Emergency Response Coordination Center. Do your homework before speaking to a supplier about purchasing a lone-worker device or solution. The more background research you do, the better your chances of selecting a system that is fit for purpose. Domake sure any lone-worker device you look at has long battery life. As a bare minimum, the device’s battery needs to outlast an employee’s working day, including their commuting time. Do make sure that the supplier, alarm receiving centre and device/app are all fully certified to BS:8484:2016. Don’t assume that one device or solution will be suitable for your entire workforce. The good news is there are a wide range of options out there to suit all business environments, ranging from key fobs to ruggedised smartphones. Don’t just take the plunge and buy the first lone-worker device or solution that meets your requirements and your budget. Field-test the product so that any issues are highlighted in advance of a wider roll-out. If you have shortlisted two products, run a side-by-side comparison to establish the best option. Don’t forget to monitor the use of lone-worker devices once they have been deployed.